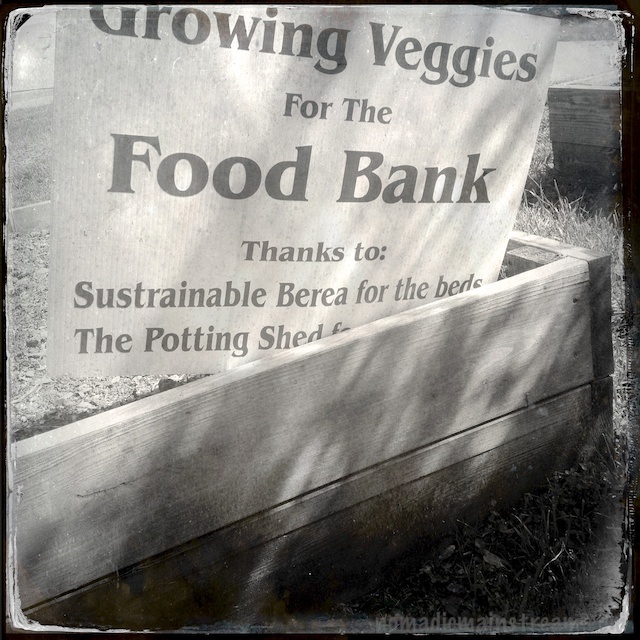 Berea and Berea College are an interesting place. I say “an” because it’s not clear to me that they’re separable. 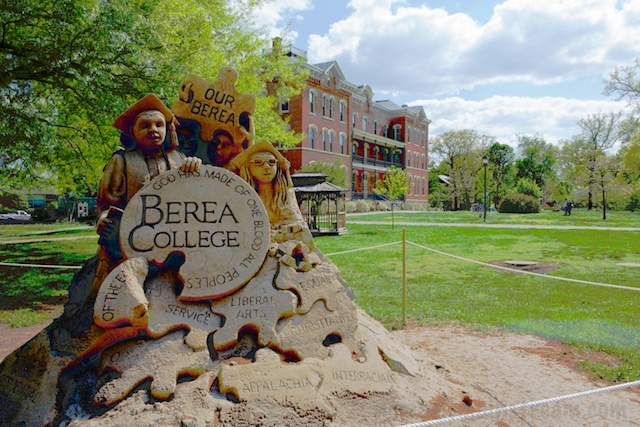 The founder of Berea College was also the founder of the town. It seems they grew up together. Having done no research on the place besides having seen signs for Berea and stopped in their visitor’s center once when we needed to make a quick pit stop on the way home, I had only a few second-hand pieces of knowledge about the place to work from. First, I knew there was an artisan community in the town. Second, I knew the college has a work-study program where the students are required to have a job and they get a portion of their tuition covered in exchange. Finally, I knew of a girl in my nephew’s class in Indianapolis who was attending Berea and studying opera singing–they apparently have a good music program and are affordable even for out-of-state students. 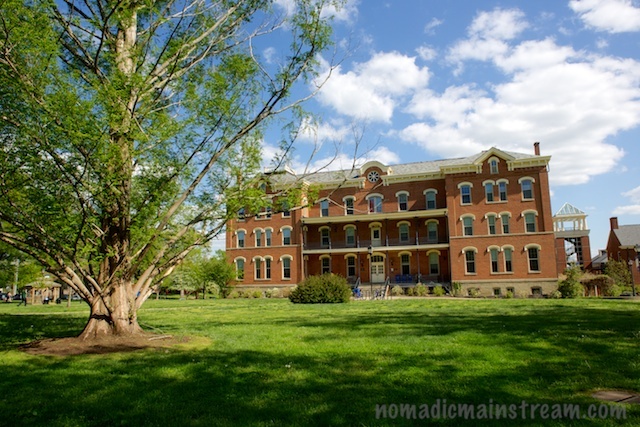 When Tisen and I took a short walk in Berea, we managed to see a couple of buildings on the Berea College campus. 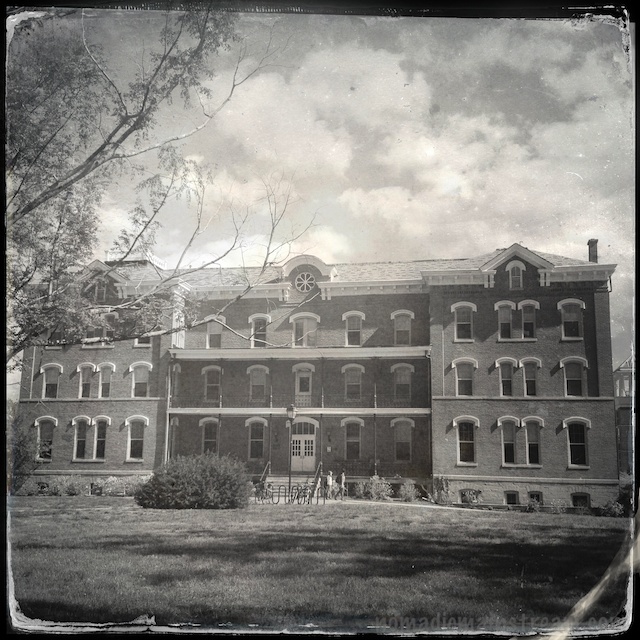 The buildings look much like buildings found on any college campus started in the late 1800’s. What surprised me was when we were across from the Boone Tavern, there was a sand sculpture on the lawn of a building I would guess was a dorm. The sand sculpture said two things that gave me pause. First, “interracial” appeared as one of the values of the college. I was rather shocked that in 2013, a liberal arts college felt the need to declare “interracial” as an important value to the college–are there any colleges that aren’t interracial in the US? The second was, “Christian.” I had never heard that Berea was a Christian school. These two words caused me to do a little reading about Berea College online. As it turns out, while Berea identifies itself as Christian, it also believes that you don’t have to identify yourself as a Christian to further Christian ideals. As long as you accept the college’s mission, which includes doing work and doing it well, providing service to others, and promoting the notion that we’re all of “the same blood” whether we’re black, white, female, or male, you’re welcome to attend or work at the college. So, while the college is Christian, the students and faculty may or may not be. The fact that the college was conceived before the civil war explains why being interracial warrants comment in its mission. It was among the first interracial schools in Kentucky, but was stopped from being interracial for about 45 years when Kentucky law prohibited it. 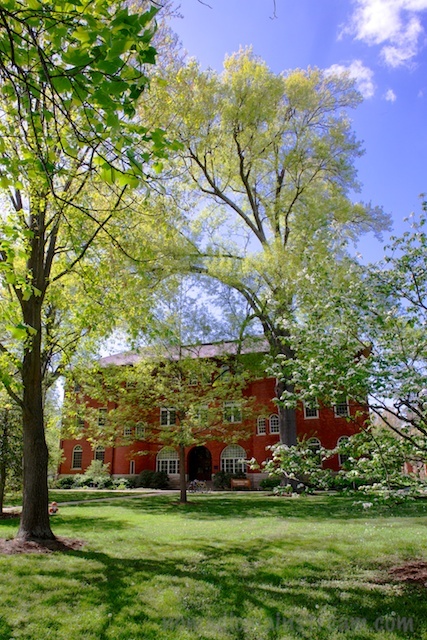 Berea College assisted with the creation of another school near Louisville to serve black students during that time and then re-integrated the school when the law was changed again in 1950. They have good reason to consider integration an important value of the school, even if it is 2013. 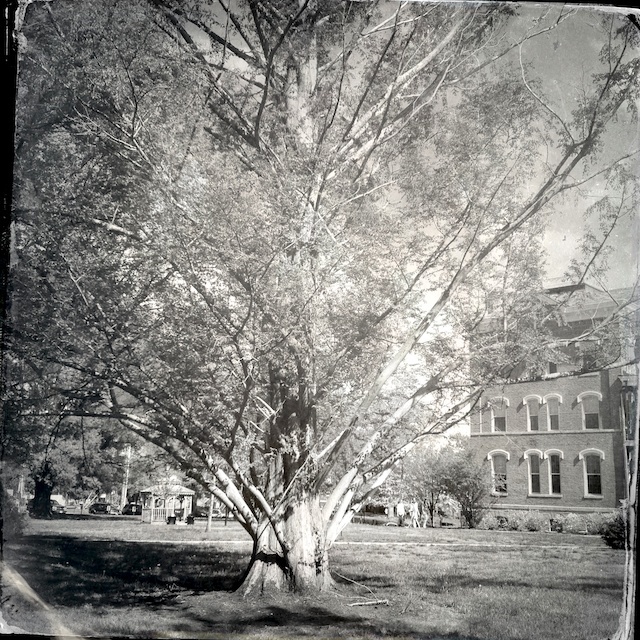 This entry was posted in Photography, Road Trip, Sight Seeing and tagged Berea, Berea College, Hipstamatic, iPhone Photography, landscape photography. Bookmark the permalink.